Mrs. Anita Gardner, age 81, passed away Wednesday evening, November 28, 2018 in the University of Vermont Medical Center after a brief illness. She was born in Westford, MA, May 20, 1937, daughter of the late Joseph and Dora (Lamie’) Dubey. Anita married Howard Gardner January 5, 1955. Mr. Gardner predeceased her November 14, 2005. Anita worked many places, but she will be remembered as a loving homemaker caring for her family. 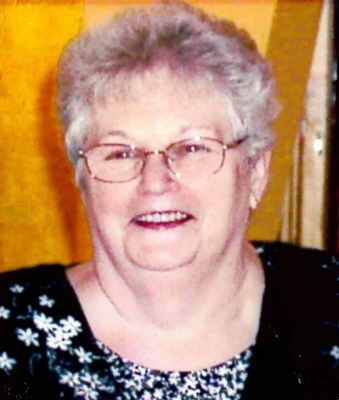 She enjoyed watching wrestling, working on her computer, but her favorite pastime was spending time with her children and grandchildren. Anita is survived by her children, Dorine and Gary Beagle of Georgia, VT, Donna and Chris Murphy of Gardner, MA, Janice and Daniel Richard of Malone, NY, and Sherry Gardner of Georgia, VT, her brothers and sisters, David Dubey and his wife Joanne of Royalton, Sandra Dauphinais and her husband Edmund of Eastman, MA, Dorianna Biggs of Colorado, and Theresa Boaz of Royalton, many grandchildren, great-grandchildren and great-great grandchildren. Besides her parents and husband Howard, she was predeceased by her daughter Carolyn Taylor, her sons, Howard, Jr., Wayne, Sr., and Brian, Sr., her brothers Joseph, Donald, James Victor, and Paul Dubey, and her sisters Arlene Chaves and Brenda Boisse. A Funeral Service will be held on January 12, 2019, at 2:00 PM in the Church of the Rock, with Pastor Roland Ludlam officiating. At her request there will be no calling hours. Memorials in her name may be made to Operation Smile, 3641 Faculty Boulevard, Virginia Beach, VA 23453. Arrangements are entrusted to the Brady & Levesque Funeral Home, where online condolences and memories may be shared with her family at: www.bradyandlevesque.com. To plant a tree in memory of Anita Gardner, please visit our Tribute Store. "Email Address" would like to share the life celebration of Anita Gardner. Click on the "link" to go to share a favorite memory or leave a condolence message for the family.